AKIPRESS.COM - A canvas by Vincent van Gogh fetched $81.3 million in an auction at Christie’s Monday, just short of a record sale price for the artist, Bloomberg reported. The 1889 painting, “Laboureur dans un champ,” was sold by the estate of billionaire couple Nancy Lee Bass and Perry R. Bass. It had been estimated to bring in $50 million at Christie’s evening sale of Impressionist and modern art in New York. Rebecca Wei, president of Christie’s Asia, placed the winning bid on behalf of a client. The record for a Van Gogh painting was set in 1990 with the $82.5 million sale of “Portrait du Dr. Gachet,” according to the Artnet database of auction prices. 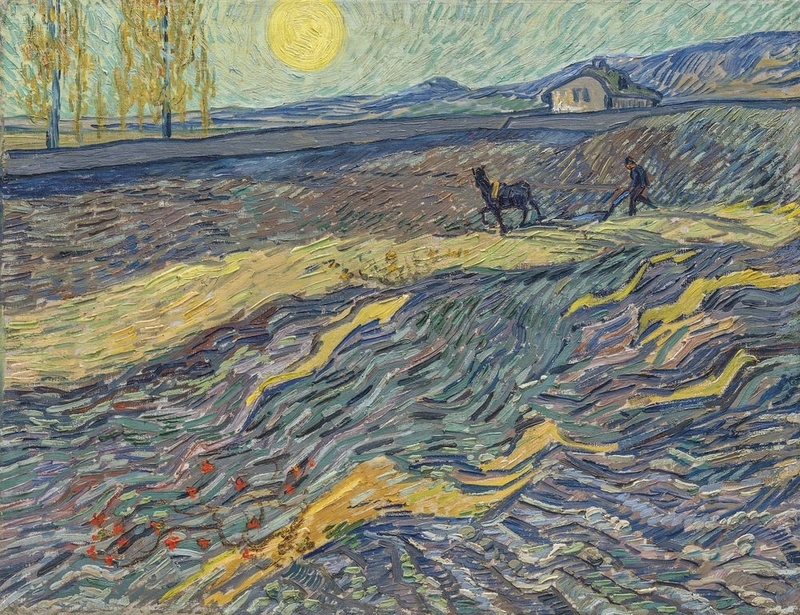 “Laboureur dans un champ” was created during the artist’s one-year stay at the insane asylum of Saint-Paul-de-Mausole, according to presentation on Christie’s website. Earlier during the Monday sale, Fernand Leger’s 1913 Cubist composition, “Contraste de formes,” fetched $70.1 million, an auction record for the French artist whose previous high was $39.2 million, according to Artnet. Prices include an auction house commission; estimates don’t. The Van Gogh led Christie’s $479.3 million sale that surpassed the auction house’s high presale target and posted a 95 percent increase from a similar event a year ago. Asian collectors were active. Pablo Picasso’s portrait of his second wife Jacqueline Roque inspired a bidding war from collectors based in Japan, Taiwan, Indonesia and Dubai, Christie’s said.